Supreme Court Halts Commerce Secretary Wilbur Ross' Scheduled Deposition About the Census. Here's Why. 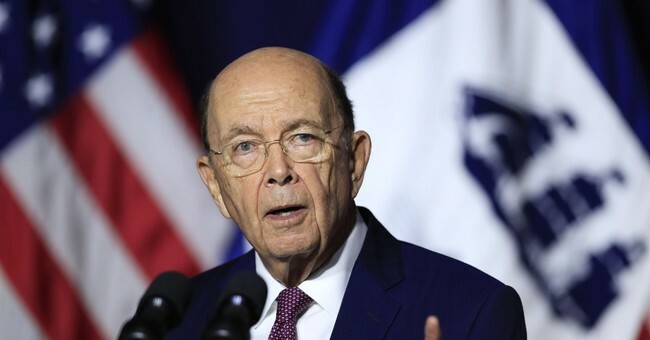 The Supreme Court on Monday ruled that Commerce Secretary Wilbur Ross cannot be questioned in lawsuits about a citizenship question that will appear on the 2020 census, which halted a scheduled deposition. Dozens of states and big cities have brought about lawsuits over the question. They argue that a citizenship question will keep illegal aliens from participating in the census, which would drastically shift state and federal representation and dollars. Of course, that would be negatively impact Democrats. A federal court in New York had previously said Ross had to provide a deposition as part of the lawsuits brought about by states and cities. U.S. District Judge Jesse Furman had based his ruling requiring Ross to submit a deposition on concerns about Ross' truthfulness in relating how the decision to add the citizenship question came about. The judge noted that Ross claimed in March, when the decision to add the citizenship question was announced, that he considered adding it after a request to do so last December from the Justice Department. "The record developed thus far, however, casts grave doubt on those claims," the judge wrote in September. The Trump administration argued that Ross' reasonings and/or motives are irrelevant, the New York Times reported. “Those reasons include the Justice Department’s view that citizenship data from the decennial census would be helpful to its enforcement duties under the Voting Rights Act,” Noel J. Francisco, the solicitor general, wrote in an emergency application. Justices Neil Gorsuch and Clarence Thomas wanted the Court to go further and completely prohibit pretrial "fact-gathering" in this case. The Court's decision was brief and gave no reasoning, which is normal in these instances. The order remains in effect until Oct. 29, at which point a trial will begin.